On Tuesday, the NFL immediately filed in federal court in Manhattan a lawsuit seeking confirmation of the arbitration award that suspended Patriots quarterback Tom Brady for four games. On Wednesday, the NFLPA filed a competing lawsuit in Minnesota. On Thursday, the Minnesota court stepped aside. As NFLPA spokesman George Atallah said during an appearance on The Dan Patrick Show, the Minnesota case has been transferred to New York, where the NFL first filed the case. While the NFL managed to avoid Minnesota, they still have to deal with Judge Richard M. Berman, who was appointed to the bench by a Democratic president — which means that Judge Berman’s overall philosophies and precedents will more likely favor labor, not management. On Wednesday, Judge Berman directed the NFLPA to respond to the NFL’s lawsuit by August 13. The transferred case from Minnesota possibly constitutes that response. Regardless, look for the NFLPA to swiftly ask Judge Berman to rule on the case by September 4 or, alternatively, to issue an injunction allowing Brady to play pending the outcome of the case. 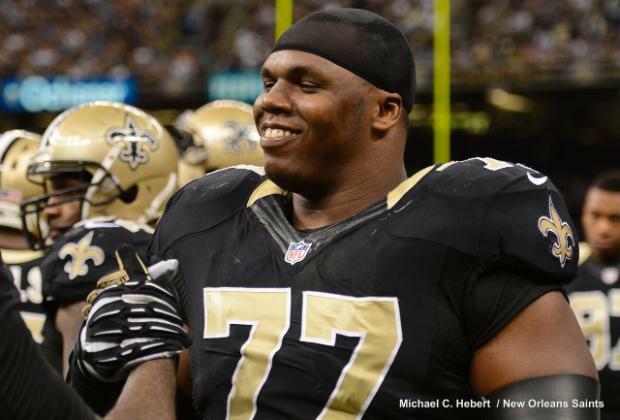 The Saints have said goodbye to another member of last year’s defense. Defensive tackle Brodrick Bunkley was released on Tuesday after failing a physical. Bunkley tore his quad last season and ended the year on injured reserve before taking a pay cut to remain with the team this offseason. The team also released linebacker Junior Galette this week. 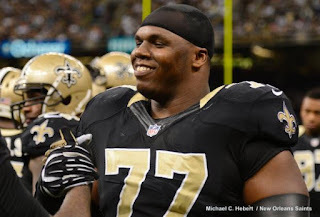 The Saints signed Kevin Williams this offseason to increase their options up front and 2013 third-round pick John Jenkins returns for a third year with the team. New Orleans also placed safety Jairus Byrd, wide receiver Marques Colston and defensive tackle Glenn Foster on the physically unable to perform list. Byrd did limited work this offseason after last year’s season-ending knee injury while neither Foster nor Colston did much work during the spring. 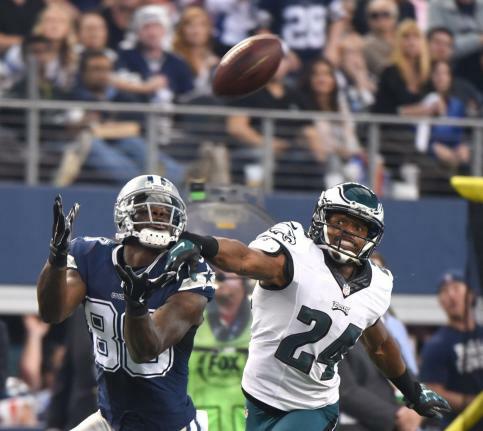 Cornerback Brian Dixon was also placed on the non-football injury list. 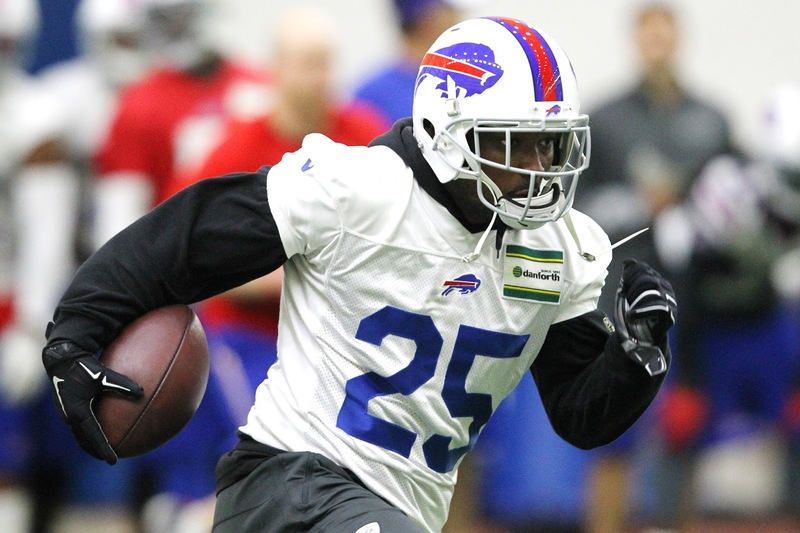 Bills running back LeSean McCoy has indeed proceeded with his pre-camp party. But he has made some changes to his plans. In an Instagram post issued Sunday evening McCoy announced his plans. The full text appears below, without edit or correction. It’s unclear how “the media and Internet” took the original party plan “outta context,” given the contents of the original ladies-only invitation and the bizarre information provided to anyone who expressed an interest in attending. Regardless of what McCoy previously intended, the revised plan is a smart move, even if it came at the urging of the Bills or the league office. Before Tuesday, Vikings running back Adrian Peterson was due to make $44.75 million non-guaranteed over the next three years. Now, Peterson is due to make less — but he’s likely to earn a lot more of it, with the Vikings or someone else. Per a source with knowledge of the situation, Peterson’s new contract has a base value of $44 million over the next three years. For 2015, Peterson’s $12.75 million base salary (and unearned $250,000 roster bonus) becomes an $11 million base salary that is fully guaranteed, with a $2 million roster bonus due to be paid on July 28. For 2016, Peterson will earn a base salary of $7.75 million, $7 million of which is guaranteed for injury only at signing. The rest of it becomes fully guaranteed on the third day of the 2016 league year. 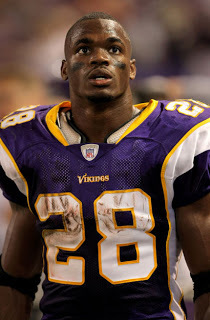 Also on the third day of the league year, Peterson earns a $5 million roster bonus. For 2017, Peterson will earn a base salary of $11.75 million, with a $6 million roster bonus due on the third day of the league year. In both 2016 and 2017, Peterson can earn another $250,000 by participating in the OTA practices and mandatory minicamps. It adds up to $44 million. It’s $750,000 less than Peterson already was due to make, but the deal requires the Vikings to make early decisions about Peterson in 2016 and 2017, allowing him to either earn his money from the Vikings or to hit the open market early, before the free-agency money is spent and the roster spots are filled. There also are some potential tweaks to the base value of the deal, both positive and negative. We’ll break those down in a separate post. Some of you may see that as a negative. I personally see that as a positive. Maybe the Cowboys and Broncos were colluding all along, but Dez Bryant and Demaryius Thomas may be too busy cashing checks to care all that much. 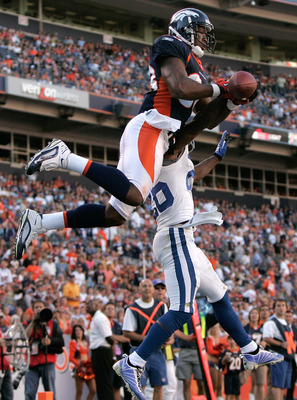 Minutes after word of Bryant’s five-year, $70 million contract with the Cowboys broke, Adam Schefter of ESPN reported that the Broncos and Thomas have agreed to a multi-year contract. The general terms will sound quite familiar to anyone who read the previous sentence. Per Schefter, it’s a five-year, $70 million contract for Thomas as well. We don’t have all the details of the deal yet, but there is at least one point where the deals don’t match up. Bryant got $45 million guaranteed from the Cowboys, but Thomas’s deal comes with $43.5 million guaranteed. There were reports that the NFLPA was going to pursue collusion charges against both teams if the players did not sign long-term deals before Wednesday’s deadline to lock up franchised players beyond the 2015 season because of comments Cowboys executive vice president Stephen Jones made to Bryant about talking to Broncos General Manager John Elway about the two players. Signing two deals with the same total value may not do much to counter the notion that the two men discussed their franchise-tagged receivers, but it likely takes the steam out of a fight since both players got what they wanted. Five players received franchise tags this offseason. 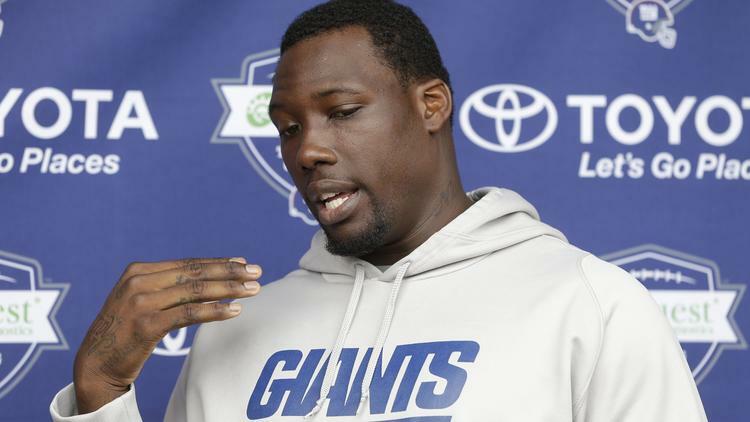 With Bryant, Thomas, Stephen Gostkowski and Justin Houston agreeing to deals on Wednesday, only Giants defensive end Jason Pierre-Paul is poised to play out the year on the tag. In case there was any confusion as to whether Dez Bryant did or did not issue an ultimatum to the Cowboys, he took to Twitter to clear it up this afternoon. “As much as I love football…on my beautiful babies.. I apologize #cowboynation but I will not be there if no deal #fact,” he wrote moments ago. This came after ESPN’s Ed Werder reported that Bryant called Cowboys executive Stephen Jones to say he wasn’t showing up without a new deal by Wednesday’s deadline for a long-term deal, then reported that Jones denied that was the case. So Bryant took to the one medium he can control to say he wasn’t showing up without a long-term deal. Unless he didn’t, I suppose, in which case he can say he was hacked. This may fall under the category of worrying about a boiling pot when the house is on fire. But according to Ed Werder of ESPN, New York Giants defensive end Jason Pierre-Paul also has fractures in his right thumb that will take six weeks to heal, assuming there are no further complications from his injuries. Pierre-Paul had to have his right index finger amputated on Wednesday following an incident with fireworks over the weekend landed him in the hospital. Considering he’s lost one finger altogether, having a broken finger may not ultimately be that great a concern. Broken fingers heal. 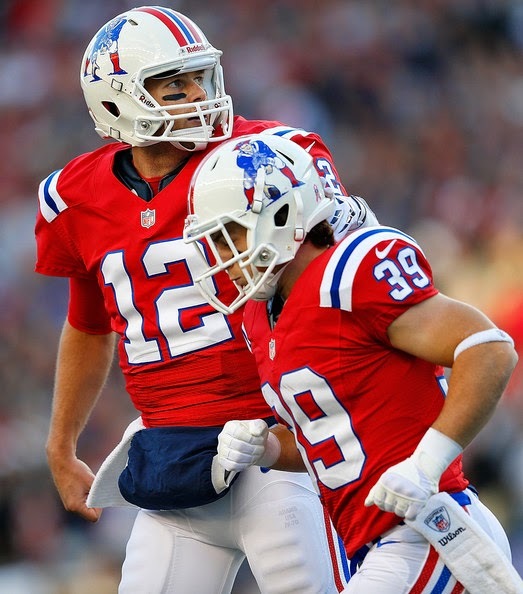 Defensive players and linemen are also prone to playing through the injuries more often than not anyway. But given the severity of the rest of Pierre-Paul’s injuries, this may not be a simple broken finger when all is said and done. Only time will tell how he’s able to recover from multiple surgeries. The report says Pierre-Paul is expected to remain in the hospital an additional 2-3 days. With not all that much to talk about in this, the slowest month of the NFL calendar, the round of interviews Brett Favre conducted yesterday in advance of his Packer Hall of Fame induction has provided plenty to talk about. During an interview with ESPN Wisconsin, Favre said that despite the perceptions, there was no problem between him and the current occupant of his old chair. 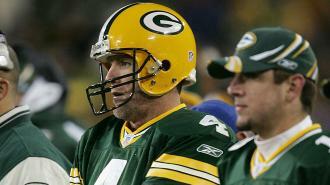 Of course, there was certainly tension, as Favre was on his way out and Rodgers was on his way up. But Rodgers helped smooth things over, which sparked their onstage meeting at the February 2013 NFL Honors. “As much as on-stage at the NFL Honors I think that was important for fans and the team to publicly see us coming together, I think time is the ultimate catalyst for things coming back together,” Rodgers said earlier this offseason. “Sometimes it just takes some time for people to move on and move past things. I was happy to be a part of that. It was fun for me to see Brett and do that little bit on stage with him. Of course, Rodgers won’t be around for the fun in Green Bay later this month, as he’ll be busy playing in a golf tournament when Favre comes back to Lambeau Field for the ceremony. Last month’s campaign announcement from presidential hopeful Donald Trump made plenty of waves for his remarks about Mexico. He also said something about China. And the New England Patriots. 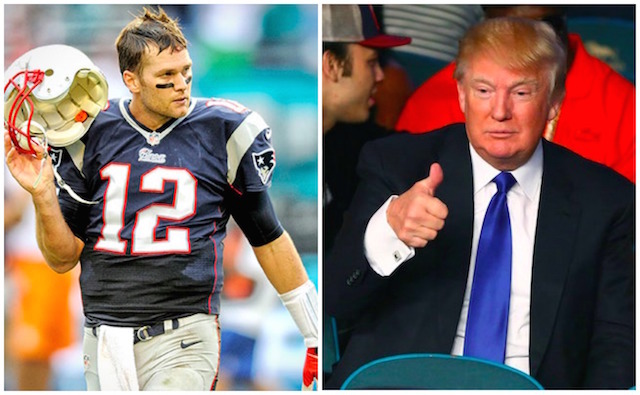 Via Boston.com, Trump favorably compared the Patriots to China. It’s an odd comparison for Trump to make, and the fact that it went largely unnoticed for so long underscores the controversial nature of his remarks about Mexico. It remains to be seen whether Trump is a truly serious candidate, and if so whether he has a chance to win. If he wins, no one should be surprised if he runs the U.S. like China. Or the Patriots. Or both. Cowboys owner and General Manager Jerry Jones has said he’s very comfortable with the group of running backs he has on his roster. But what the Cowboys don’t know is which one of those running backs will be primarily responsible for replacing the departed DeMarco Murray. Cowboys running backs coach Gary Brown says he isn’t sure if Joseph Randle, Darren McFadden or Lance Dunbar will be the starter, but he’s confident that some combination of the three of them will add up to a good running game. As great as Murray was last season, Randle was also very good in limited action as his backup: Randle gained 343 yards on 51 carries, a whopping 6.7 yards a carry. He would seem to be the likely choice as the starter. The addition of McFadden to go with Randle and Dunbar gives the Cowboys some depth in the backfield, and those running backs will be running behind the best offensive line in the NFL. Despite the loss of Murray, Brown’s optimism is justified: The Cowboys’ running game should be just fine, even if there’s not a clear-cut starting running back just yet.